As the platform got developed to cater to the needs of an e-commerce store, it comes with all the essential features of an online store. The loyalty schemes help to keep the loyal customers engaged. Further, the design and merchandising tools allures new customers in an easy manner. The theme and skin customization facilitate the developers to implement both the web design and the business needs as well, without affecting the system core files. The secure and flexible web service features of Magento, integration with shipping services, payment gateways, sales channel, and, etc., ensures the growth of business and quick development. Thousands of custom modules may be added without interfering the source code. It is beneficial for both the small and big businesses alike and thus, many businessmen choose Magento for their unique business needs. A Magento store serves multiple stores with separate design from the single installation. It allows store configuration with specific language, products, tax rules, and, etc., with distinct domain names. Magento was made SEO friendly and it has different SEO features, built in Google analytics tools, search engine friendly code, permalinks, and helps to drive business in an easy way. The built-in support for mobile applications easily permits to build apps for the online store. The benefits of building the e-commerce store as a mobile responsive website is self-explanatory. The extensive e-commerce features pre-loaded in Magento helps to customize the application that match with your business needs, and help the admin to manage the CMS easily. One may grow his business in a quicker way and attract customers at regional and global level. 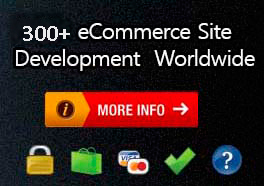 And the website may be made scalable and grown as per the ever growing number of customers.